Kapha-vata is a dual combination constitution that refers to the state of two doshas, kapha and vata, being predominant in one’s body composition. This concept of dosha constitution is also recognized as prakriti. In Ayurveda, prakriti is responsible for a person’s mental health and physical stature. Kapha dosha reflects the elements of earth (prithvi) and water (jala). While coldness is the inherent nature of kapha, it also exhibits qualities of smoothness, heaviness, rigidity, oiliness, and dullness that primarily affect the bones, muscles, and other dense body structures. It has a binding influence and is regarded as the cellular glow that holds body structures together. Vata dosha is regarded as the primary of the body’s Ayurvedic energies – vata, kapha, and pitta. The primary elements of vata are air and ether. It exhibits qualities such as cold, movement, dryness, clarity, light, and subtlety. This dosha governs all movement in mind and body, controlling blood flow, elimination of wastes, and breathing. Although the features of these two doshas exert an opposing influence in some ways, they do have one major quality in common – cold. Aggravation of either dosha and imbalances in doshas therefore tend to have a similar effect on the body, impeding digestion and giving rise to digestive disturbances and some aches and pains. To balance your dosha levels you need to use a combination of lifestyle measures including diet, yoga, and seasonal guides. Ayurvedic herbs provide an additional edge not just for maintenance of balance, but also to treat dosha imbalances as and when they do occur. Some of the best Ayurvedic herbs for a kapha-vata constitution include the following. The warming seed of the Trigonella foenum-graecum, fenugreek, is effective when it comes to managing imbalances of kapha and vata. Besides its warming properties, it also provides a sweet flavor and nutritious quality. Fenugreek acts as tonic and antidiabetic, as shown in some studies. It may increase milk production in lactating women and could help relieve swelling and local pain. Its anti-inflammatory effects could also make it helpful in the management of irritable bowel syndrome and other digestive problems. 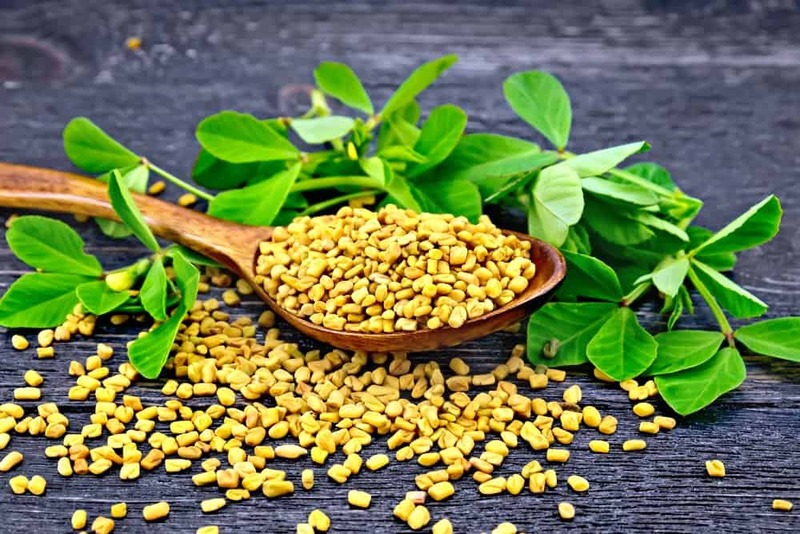 Furthermore, fenugreek drives out damp and cold, targeting the lower half of the body, including the pelvic area, lower back, kidneys, and legs. It can also work as an aid to cope with menopause and dysmenorrhea. Modern research also suggests that fenugreek may reduce the release of gastric acid and could be useful for preventing acid reflux. 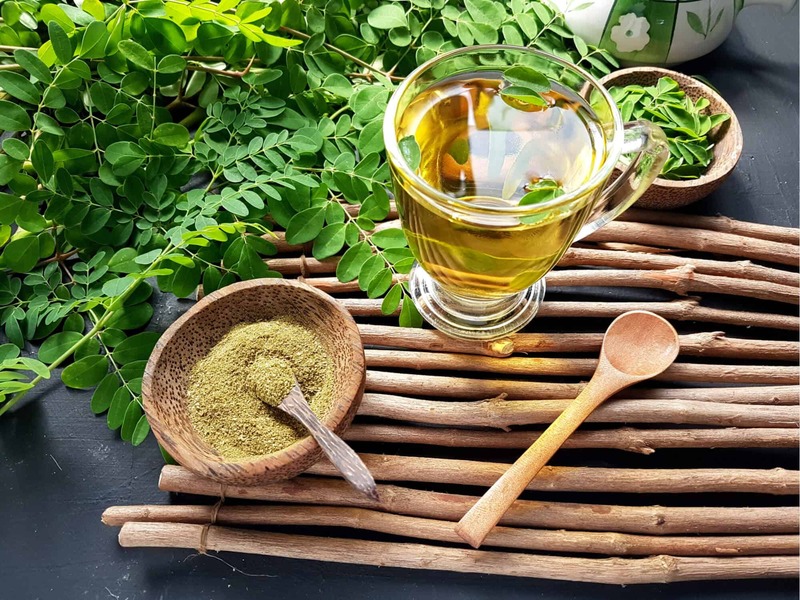 A staple of traditional medicine for more than 4,000 years, Moringa Oleifera is considered as one of the world’s superfoods. Also called the miracle tree, moringa has been used as a vital ingredient in traditional remedies for the treatment and prevention of several diseases. When consumed in moderation, moringa is excellent at improving pitta deficiency and pacifying kapha and vata. However, over-consumption should be avoided, as its sharp, dry, and light quantities may aggravate vata. As indicated by investigations into its phytochemical profile and pharmalogical properties, this the leaf, bark, and other moringa extracts are rich in nutrients, antioxidants, and anti-inflammatory compounds that could help treat heart disease, joint pain, diabetes, high blood pressure, viral and bacterial infections, asthma, and thyroid disorders. More research is needed to verify its efficacy and delivery mechanisms. Widely used to spice sweet dishes and desserts, cinnamon is also used to provide relief from stomach disorders and improve digestion. This warming spice exhibits a pungent, bitter, and sweet taste that is excellent for balancing vata and pacifying kapha when consumed in moderation. 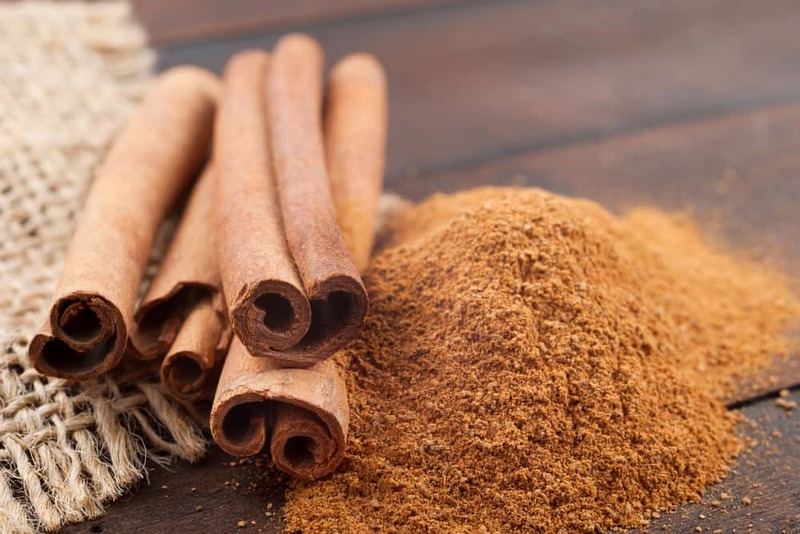 In Ayurveda, cinnamon is also referred to as Darushilla for its ability to manage both kapha and vata. It may help to promote healthy circulation, blood purification, nervous system stimulation, and body pain relief. Since the herb contains antibacterial, antioxidant, anticancer, antifungal, analgesic, and anti-inflammatory properties, studies suggest that it may help in the management of chronic conditions like diabetes, polycystic ovary syndrome, metabolic syndrome, and cancer. In Ayurvedic herbal preparations, cinnamon is also used to enhance the bioavailability of other herbs and spices. 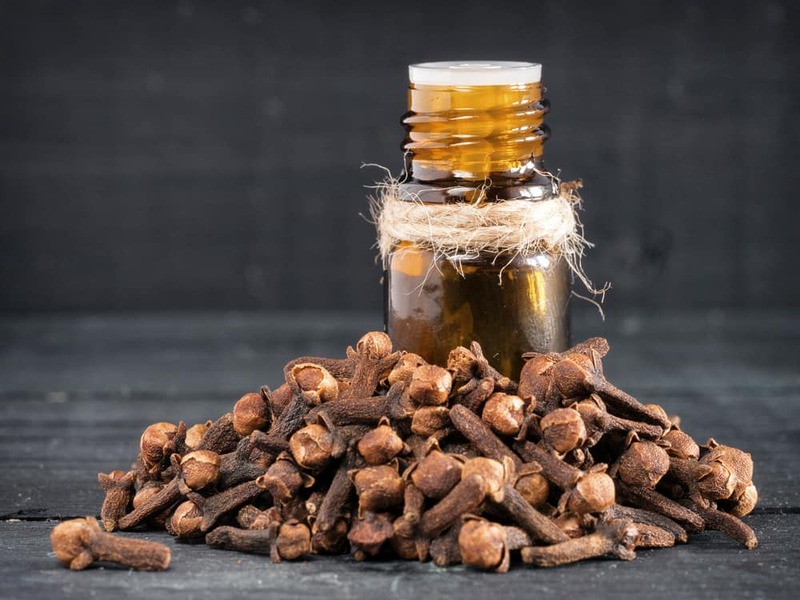 As the dried, unopened flower bud from evergreen trees, cloves have been used for centuries to aid digestion, counter digestive problems, and enhance both metabolism and circulation. The herb can be used in its whole form or also when ground as a key ingredient in Ayurvedic cooking, and lends great flavor to food when sautéed with other spices, such as peppercorns, bay leaves, and cinnamon. Also called Lavanga, in Ayurveda, clove helps pacify both kapha and vata and increases pitta. As research indicates, it may be useful in relieving pains and aches, and morning sickness. Using clove oil as a mouthwash can help to deal with bad breath or halitosis and it can offer relief from mild toothaches. Cloves may also improve peristalsis or bowel movements. Bael is a herbaceous tree that is native to the Indian subcontinent. Ascribed with powerful medicinal properties by Ayurveda, it occupies a sacred position in India, often planted around temples. 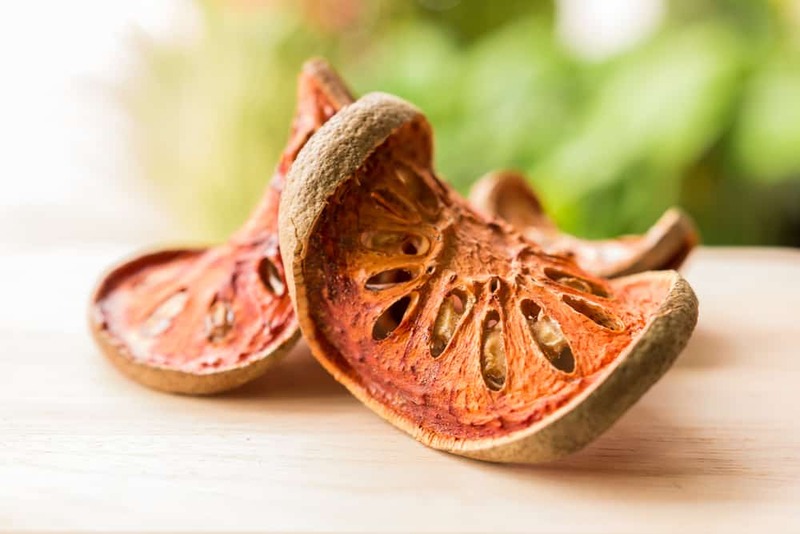 The bael fruit is smooth and woody with sweet flesh that can be consumed dried or fresh. It is not uncommon for people to mix bael with beverages to increase their nutritional value for fitness. When it comes to doshas, bael encourages a small increase in pitta and pacifies both kapha and vata. Consuming bael regularly could lower the risk of heart disease, high cholesterol, breast cancer, and gastrointestinal disorders. It also has a blood purifying and detoxifying effect. As research suggests, bael may also prove to be an effective anti-inflammatory, antiseptic, and anticancer agent. Because bael is rich in vitamin C, it can strengthen one’s immune system and lower the risk of scurvy. In Ayurvedic therapeutic techniques, bael juice is often mixed with ghee and turmeric and spread across damaged bones to treat the fracture. While the herbs mentioned above do have a stabilizing influence and will help balance your vata and pitta levels, there are plenty of other herbs and foods that you can use to find that balance. To understand the classification of herbs based on prakriti or dosha type, we have plenty of insights from classical texts. They recommend herbs based on specific tastes because of the corresponding effects on each dosha. Vata can be pacified with three out of the six tastes – sweet, salty and sour. These will also raise kapha. The other three tastes, bitter, pungent, and astringent, will help to raise vata, while pacifying kapha. Herbs and foods should therefore be chosen according to the particular type of imbalance. Keeping these fundamental dosha balancing concepts in mind, some other herbs that are ideal for balancing kapha-vata levels include the likes of dill seeds, fennel seeds, mustard, palasha, karanja, and bakuchi. While herbs can be extremely helpful in maintaining a healthy kapha-vata constitution, lifestyle changes, including daily routines, diet, and exercise are also important. Keep in mind that herbal treatments are effective because of their nutritional and pharmacological properties, which is why it is always a good idea to consult your doctor before you begin using any new product. Test on the Extract. African Journal of Traditional, Complementary, and Alternative Medicines, 6(3), 255–261. The changing seasons have a direct influence on the doshas. Fine tune your lifestyle choices with our summer guide to keep your doshas in balance this season. The information on this page has been contributed by Dr. Pratik Bhoite, M.D. (Ayu), M.S. (Couns.&Psy.) and is intended for the sole use of Allayurveda. Information contained within this article may not be reproduced without the explicit permission of Allayurveda.